Our compact digital radiography unit is an imaging modality that we provide off of our truck. Our system is completely wireless and very fast! 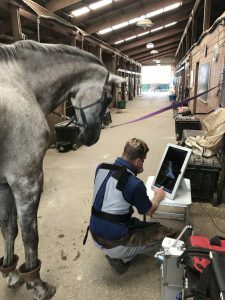 These digital images are superior to traditional x-ray films and can be emailed to you, your farrier, and/or consultants after the examination to help determine further action.